Burren Tours is a local, family run, transport and tour company. Our main driver, Sean, has all the charm of a Doolin native and all the knowledge of a Clare local. Our comfortable vehicles can accommodate up to 16 passengers and will get you where you need to go while you relax and enjoy the journey and views of the Wild Atlantic Way. We will collect and drop you at your own designated collection points and make as many stops as you wish along the way, including for refreshments. Our driver and guide knows all the best spots! Burren Tours offer local area transport day and night – we can transfer you to and from your accommodation to your day and evening activities. Burren Tours can provide you with your own Customised Day Tour of the area where you can choose what you would like to see and do and have the luxury of your own driver and guide to maximise your experience and enjoyment of the area. 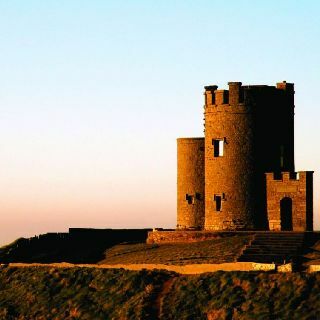 You can choose from any of the local attractions and historical sites: Caherconnel Fort, Poulnabrone Dolmen, Lemenagh castle, The Burren Perfumery, The Burren Centre and Cathedral and High Crosses, Cliffs of Moher, Aran Islands, Wild Atlantic Way and many more…. Burren Tours will transport you and your luggage directly to or from your accommodation to or from the airport any time of day or night, any day of the week. Our vehicles can seat up to 16 passengers and luggage. We’ll even give you a guided tour of the area along the way! 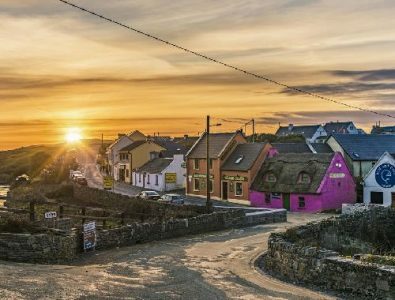 This 3 day walking tour will give you a unique perspective of the West of Ireland, North Clare, The Burren, the Cliffs of Moher and the Aran Islands. Cliffs of Moher guided walk. Join Pat Sweeney, a local expert in the area, as he brings you on an 8km walk along the edge of the Cliffs of Moher. The amazing views will take your breath away and Pat will make you laugh along the way! The best way to experience the world famous Cliffs of Moher. Finish your experience by visiting the Cliffs of Moher Visitor Centre. Relax and enjoy the rest of your evening in Doolin. Day 1 finishes with your evening meal and an enjoyable night of traditional music on one of the local bars. The Burren guided walk. 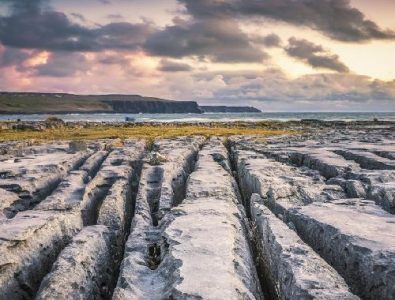 On this guided walk, you can enjoy the spectacular lunar landscape of the Burren region. 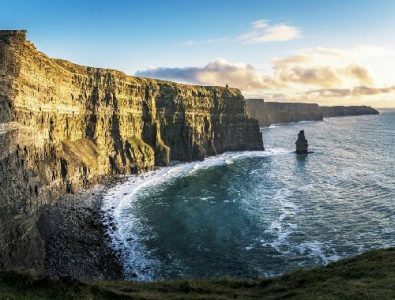 Our guide will take you on a journey of discovery, unique to the area, where you can see the beautiful flora and terrain of The Burren while enjoying the impressive and picturesque views of the Atlantic Ocean, Aran Islands and the Cliffs of Moher. You can enjoy some light refreshments after your walk when we visit a traditional Irish thatched cottage. 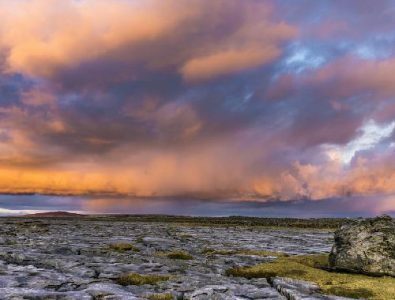 Your day continues with a trip to the Burren National Park. You can enjoy your evening meal and some entertainment in Doolin. Inis Mor, Aran Islands – guided walk. 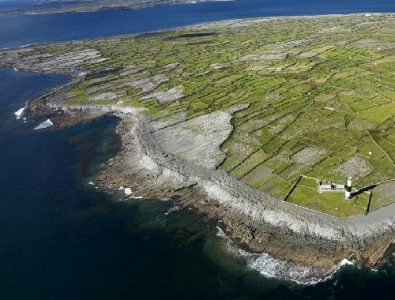 After taking a ferry from Doolin pier to Inis Mor, you will be taken on a wonderful guided tour of the third and largest of the Aran Islands. You can enjoy learning about the culture and traditions of the area, while taking in the beautiful landscape that surrounds you. Included on this walk is a visit to Dun Aengus, a prehistoric stone fort. On return to Doolin by ferry, you can relax and enjoy your evening meal and some traditional Irish entertainment.